Blogs, bloggers and blogging; these are heavily-discussed topics of conversation in the world of business and marketing. Are you blogging, and do truly know what it entails? The facts will astound you if you aren’t familiar with the pervasiveness of blogging. According to this infographic, 61 percent of American consumers have made a purchase based on a blog post. In total, 6.7 million people use formal blogging sites, with another 12 million blogging via social networks like Facebook. Nearly 77 percent of Internet users read blogs on a regular basis. A massive 81 percent of consumers trust advice and information they read on blogs, while 90 percent find the content useful. As far as long-term benefits go, nearly two-thirds of consumers relate with a company’s positivity, long after reading a post. The business person inside of you is probably starting to connect the dots. The same infographic further reports some impressive statistics from organizations that participate in blogging. Research shows that small businesses that blog generate 126 percent more leads, develop more trust with consumers, and have 434 percent more indexed pages. Gain industry recognition. Many businesses and professionals are looking to gain recognition in their industry. They understand the powerful nature of blogs, the large potential audience, and hope to make a name for themselves. In fact, many blogs have grown from obscurity to national recognition in a matter of months – so the model for how to do it is certainly there. Share expertise. Very closely related to the previous point is the desire to share expertise. Many people feel like they valuable insight to share, and blog for the purpose of building thought leadership in their respective niche or industry. The result is usually industry recognition and respect. Generate traffic. 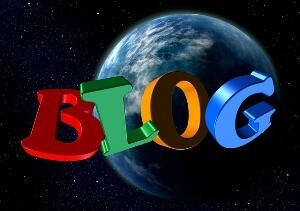 Finally, people and organizations blog to generate traffic and attract new clients. As businesses become increasingly aware of the power of high quality blog content, more are choosing to blog. Not only does it generate traffic, but it also allows websites to charge a premium for ad space and increase revenues. Control over content. One of the top SEO benefits of blogging is control. By producing original content, you essentially control your message to the masses. Unless there’s some other source pushing out more content about your own company than you are, your commitment to regular blogging will overpower the rest of the content out there and allow you to position yourself according to the keywords you desire to be ranked for. Quality and variety. Search engine algorithms have evolved over time. They’ve steadily adapted to changing consumer demands, and now reward pages able to provide valuable content that answers questions and adds value to important topics and conversations. By developing blog posts that answer questions and provide relevant information, you can naturally move up in the rankings and drive traffic to your site. Once again, you’re in control. Developing backlinks. Google pays attention to many factors when procuring search results, but one of the primary factors is backlinking. The search engines look at backlinks as recommendations and referrals. A site that only has 20 or 30 backlinks doesn’t look reputable or valuable. On the other hand, a website with thousands of backlinks to quality websites and industry sources is obviously reliable. By consistently producing high-quality, engaging blogs, you increase your chances of building backlinks and improving your search engine rankings. Increased social signals. While nobody outside of Google knows how their search algorithms specifically function, it’s pretty clear that social signals impact search rankings. As a result, blogging is that much more powerful. When you publish a blog post and people share it via social media, it appears the search engines consider that to be a social statement about the validity of the content and nudges the page up the rankings. Humanizes your organization. Albert Scaglione, CEO of Park West Gallery, knows a thing or two about passion and believes it’s important for everyone, everywhere to do what they love. And while he cautions that the “road to success is a road strewn with failure,” he firmly believes that you should share your ups and downs with those around you. A blog is an ideal channel for revealing your organization’s passion and sharing both successes and failures. It humanizes your brand and provides a nice alternative to typically stale SEO copy and salesy content. There are plenty of other advantages to be found in business blogging, but these are five of the most important SEO-related benefits you’ll find. While you may find yourself strapped for time and short on resources, don’t make the mistake of ignoring the power of blogging; it has the potential to greatly benefit your organization. Start small, aim big, and always remain true to your brand.